One of the things I really appreciate about blogging is the opportunities to try out products that my budget wouldn’t otherwise stretch to. But since somebody will have the budget for these things then I think it’s important to give them the once over so those people have an idea of what to expect. 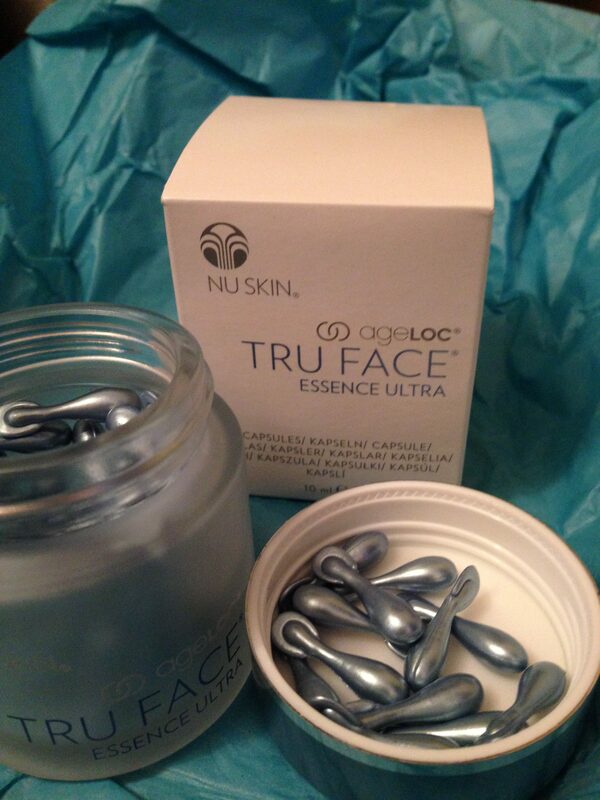 And so we come to the most luxe skincare item I have ever reviewed, in the shape of ageLOC Tru Face Essence Ultra by Nu Skin which weighs in at over £180 for a month’s supply. You won’t have seen this brand in the shops because Nu Skin sells its skincare products exclusively online and through independent distributors. It has many fervent fans (and to be fair, some critics) who have high praise for the brand and are happy to repurchase despite the price tag. This facial essence also been on the receiving end of plaudits from the beauty industry, and was recently commended in the Best New Premium Anti-Ageing Product category at the Pure Beauty Awards. The product itself definitely feels luxurious, with its opaque glass jar and metal screwtop lid. Inside, there are 60 individually sealed vials of serum. 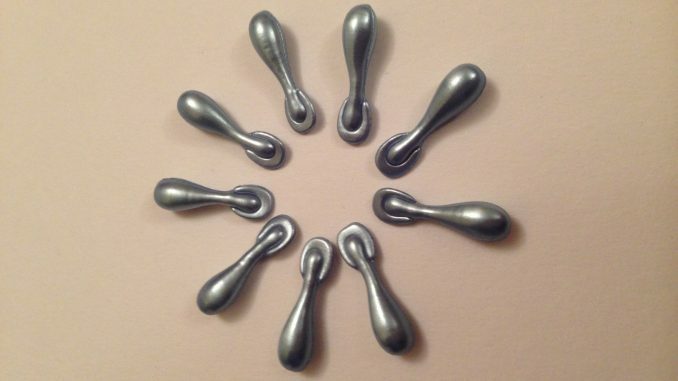 Using one in the morning and one at night, the pot of 60 should last a month. 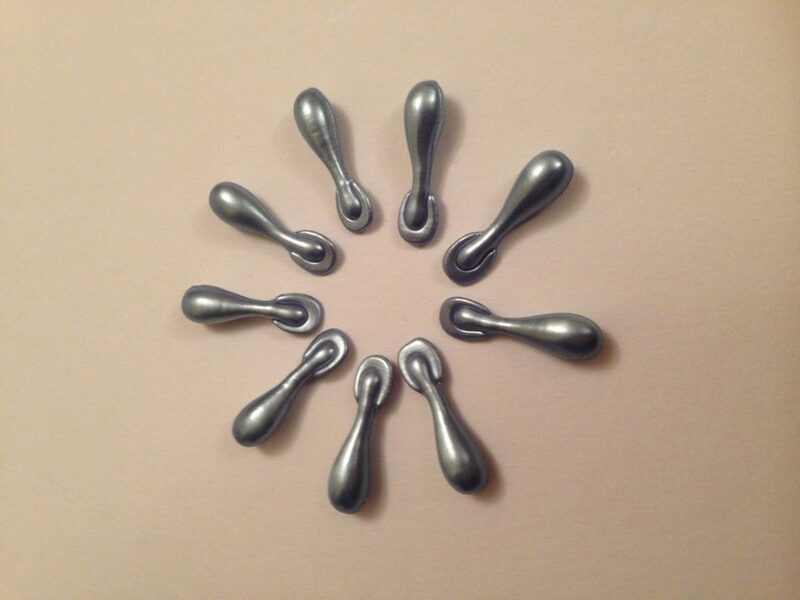 The vials are made of soft pewter-coloured plastic. Simply twist the top off and squeeze out a few drops of the serum – initially targeting any particular areas of concern, then spreading it out all over the face and neck. Follow with a moisturiser and the rest of your regular skincare and make up. Now, the last of those you can’t really measure as a user, but the increased firmness is easier to spot and in my experience it did deliver. After using Tru Face Essence Ultra for a month I felt that it did a good job of making skin appear firmer and smoother. What I especially like is that you could see it working from the very first application – my skin was smoother straight away. This is at least partly to do with the presence of dimethicone in the ingredients. Dimethicone is a silicone-based polymer widely used in skincare and hair products – it’s what makes your primer feel smooth on your face, or your conditioner tame out hair frizz. However, some people have a sensitivity to dimethicone and hence have to avoid products containing it. For me, I found that for around the first week my face would go pretty pink when I used the essence capsules, but that this redness would then go away within a minute or two. So perhaps I have some sort of sensitivity to the ingredients. Whatever it was, it didn’t last or perhaps my skin was just in shock at being on the receiving end of such a luxury treat. Cyclopentasiloxane, Squalane, Dimethiconol, Dimethicone, Ethoxyheptyl Bicyclooctanone, Ubiquinone, Dunaliella Salina Extract, Tetrahexyldecyl Ascorbate, Camellia Sinensis Leaf Extract, Carthamus Tinctorius Seed Oil, Oenothera Biennis Oil, Tocopheryl Linoleate/Oleate, Commiphora Mukul Resin Extract, Retinyl Palmitate, Echinacea Angustifolia Extract, Centella Asiatica Extract, Octyldodecyl Olivate, Tocopheryl Acetate, Hydrogenated Polydecene, Caprylic/Capric Triglyceride, Zea Mays Oil, Tocopheryl Linoleate, Benzotriazolyl Dodecyl p-Cresol, Pentaerythrityl Tetra-Di-t-Butyl Hydroxyhydrocinnamate, Butylparaben, Propylparaben. Lots of interesting stuff in there for sure! Those little capsules really pack a punch, with a combination of silicones, plant oils and antioxidants. And this is where there is a point to the individual packaging – those capsules protect the antioxidants from the air and keep them stable until you want to use them. So this type of packaging is much better than a jar that you keep opening, exposing the product to the air. So to sum up – this is a luxe product that seems to work from the very first use, though it won’t work for everybody. What I would really like to see is some sort of tester pack from Nu Skin so that people could try a few capsules before committing to the whole jar. Since I found that it left the skin visibly smoother, I’m keeping the last few capsules for when I wake up feeling especially wrinkly. I can absolutely see why, if you had the budget for it, you’d be a fan.